Cassava is a very important crop not only in Nigeria but in Africa at large, it is affordable for both the rich and the poor when compared to other staple foods. Garri which is gotten from Cassava is one of the most sort after food in Nigeria, about 90 per cent of Nigerians consume garri on a daily basis both by the rich and poor and this makes the demand for the product to constantly be on the high side. Nigeria produces the highest tonnes of cassava in the world, this crop staple can be planted and produced in any part of the country because of its high level of adaptation. Cassava farming in Nigeria has become one of the most profitable farming in the country because as the population increases the need for garri also increases. Owners of cassava farm are smiling to the bank every now and then because according to FAOSTAT, cassava is the third most consumed crop in the country. Cassava production is not really expensive to go into but commercializing it would demand a whole lot than just setting up the farm because this would include your packaging and marketing strategy. One interesting thing about cassava is that all the parts are important, the stems of cassava can be replanted to produce more cassava, the root is the cassava itself, the leaves can be feed to livestocks. To start Cassava Production business in Nigeria, there are some key areas I would like to highlight, this area must be put in place before going into this business, some of which are, Selecting the Farmland and making it suitable for planting, Selecting the best variety of cassava and also the stem you want to plant. It is very important that you get our Cassava Production Business Plan because to venture into a business this profitable you need guidance and direction, where to look and what to expect, our feasibility study business plans are written by experts in this fields so you can make the right investment. Cassava is best grown in area with thick vegetation and with humus soil which has the capacity to retain water, cassava grown in this area increases the quality of the produce. However in the case where the land is not rich, it can be developed to suit the production of cassava this can be done by application of manure. In commercialized Cassava farming/production, there are equipment that you need because you can not rely on the tedious way of peeling, manual grating, putting it under heavy stones to dewater it etc, that’s the method for a substantial farmers, you cannot do that if you intend to process cassava commercially. There are equipment and machinery that can help you to do all of this in matter of few hours in cassava processing. This modern equipment has helped a great deal in cassava production, making the job much easier than it use to be, investing in cassava processing equipment is is capital intensive but at the long run you would be happy that you did. Stainless Steel Hammer with 1tone per hour capacity. Dewatering Rack with mechanical press. Stainless steel granulator with 7.5 HP electric motor, with 1tone/hour processing capacity. Stainless steel garri roasting pot with 2HP electric motor, fibreglass insulation, exhaust pipes and stainless steel paddles. Our sample Cassava Farming & Garri Processing / Production Business Plan in Nigeria can be used to access bank loans, proposal writing and grant applications. The business plan was complied after a thorough feasibility study on Cassava Farming & Garri Processing / Production in Nigeria was done. 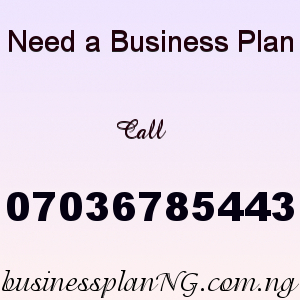 After you have made payment for CASSAVA FARMING/GARRI PRODUCTION BUSINESS PLAN IN NIGERIA & FEASIBILITY STUDY, send a text of your names, email and the topic you paid for to 07036785443.